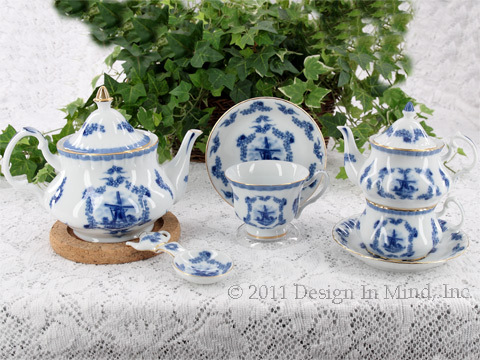 Traditional and modern versions provide relaxing tea service for one. 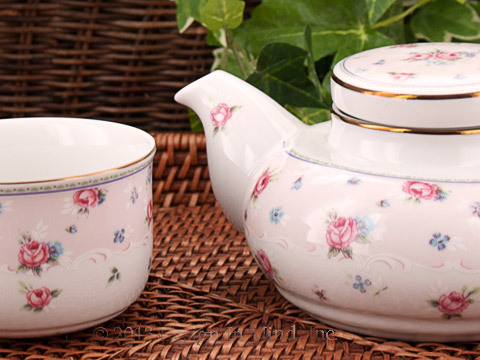 Great tea for one sets make your cup of tea an elegant affair. Include a personal tea cozy for a terrific gift! Petite Rose - Tea For One from Andrea by Sadak. This pattern features the petite rose pattern and a pink border. 16 oz teapot, 8 oz cup. Fine porcelain china. Made in Thailand. White porcelain teaware. Dutch windmill with garland in delft blue. Edged in metallic gold. 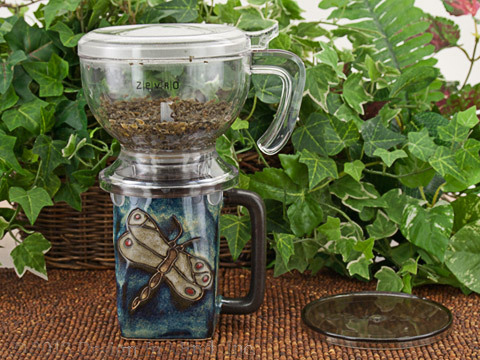 Tea for One includes 8 oz teapot and 6 oz cup with saucer. See Teapots>>Fine China Teasets>>Victorian China for other pieces.